Amaterasu Omikami is undoubtedly the most prominent survival into modern times of the ancient and universal Sun Goddess. The Shinto Sun Goddess is the Divine Ancestor of the Japanese Emperor, and the Imperial Family were until the end of the Second World War regarded as living deities (kami). Herthelani are struck by the closeness to their own culture, in which the Empress is the ancestress of the "Sun Goddess" Sai Raya. Until forced to recant (in the terms of surrender at the end of World War II), the Japanese royal family claimed descent from Amaterasu and were officially considered divine. This is a fascinating, if horrible, continuation of the great theme of patriarchal history. The first patriarchal warriors – the first humans to make a practice of killing their own kind – dethroned goddess-images from temples by force. The first modern army – Cromwell's Ironsides – stormed into churches hunting down and smashing images of Our Lady Mary; and the first use of nuclear weapons to destroy human life was also the instrument of forcing the Unconditional Surrender that officially dethroned the last great Imperial representatives of the Sun Goddess on Earth. The legends of Amaterasu are, of course patriarchalized. The primary story, which is told in several differing versions, concerns the "patriarchal revolution" of her brother (or husband, depending on the version) Susanoo-Wo. One day Susanoo, in a drunken rampage, trampled Amaterasu's rice fields, filled all of her irrigation ditches and threw excrement into her palace and her shrines. The Omikami [angels or deities] asked her brother to stop but he ignored them and even went so far as to throw the corpse of a skinned horse at her handmaidens who were weaving at the time. The women were killed by the wood breaking apart and piercing their bodies. Susanoo Wo is a thunder/weather deity: thus ultimately a patriarchalized form of Sai Thamë like such early patriarchal figures as Indra, Zeus and Jupiter who replaced the worship of Our Mother God. However, unlike the serene ruler Sai Thamë, Susanoo is filled with the destructive impulse of the unbalanced Vikhelic tendency that characterizes the masculine principle when it comes to dominate. The cruel and disorderly (literally athamë) actions of Susanoo are clearly indicative of the patriarchal disruption and defilement of the ancient feminine Tradition. Amaterasu, as a result, was greatly angered and in protest she shut herself in the Heavenly Cave and sealed it shut with a giant rock. Now in some relatively early patriarchal cultures, the need for Our Mother God is felt so strongly that it overcomes, at least partially, the rigor of the patriarchal regime. In others the regime is so severe that the open worship of Dea is either trivialized or excluded altogether. The ancient Japanese culture was one of the former kind, and this is expressed in the legend. For in the absence of the Sun Goddess, the world was consumed with darkness. Without Her, everything began to wither and die. While having on one level a historical and cultural significance, this description is in line with accounts throughout the world of the Descent into the Underworld of the Sacrificial Daughter of Dea, which leaves the world dark, bereft and dying. 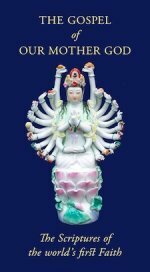 The accounts of Her emergence from the Heavenly Cave vary, but in all versions it is clear that this emergence is desperately needed by all beings, even "gods". On December 21st, the Winter Solstice, festivities celebrate Amaterasu emerging from the Cave; just as Filianists celebrate the Birth of the Daughter in the Cave at the time of the Winter Solstice. We shall discuss the importance of the Cave, and its centrality to the Winter Solstice Event (the coming of the Divine Light upon the world through the Northern Gate of the year/cosmos) in a forthcoming article. The conflation of what Filianists regard as two separate Events – the Sacrifice of the Daughter and Her Birth – is typical of those traditional perspectives that do not have a strong Mother-Daughter separation in their understanding of Our Mother God. Needless to say, there is no real conflict here, only two ways of regarding the same essential Truth. The ancient Japanese cultus of Amaterasu is the survival, in somewhat patriarchalized form, of a Déanic perspective that takes Sai Raya as the primary representative of our Supreme Mother God.